While working in litigation for a law firm in 2002, Alicia Hylton-Daniel, ’08, experienced a house fire, caused by a faulty fireplace. That challenging experience inspired her journey to return to college and pursue a second degree in interior design. Hylton-Daniel graduated from Meredith College in 2008 with a B.A. in interior design. Since then, she has earned a general contractors license, making her one of the few licensed women general contractors in Durham. She gained years of experience working as an interior designer at HagerSmith Design and a project manager at MHAworks. Now, Hylton-Daniel uses both talents in her new venture of business ownership. In the summer of 2017, she started Hylton-Daniel Design + Construction, and seems to be breaking into her new job title well. “I get to be my own boss and wear many hats,” said Hylton-Daniel. “I like that I have control over the kind of work I’m taking, and I get to pick the projects I really want to work on.” Most of her projects consist of building or renovating homes and restaurants, including a project that she is working on with HGTV. On an average day, she can be found buzzing to and from job sites to manage projects, studying floor plans, gathering supplies from hardware stores, meeting with clients, visiting vendors, troubleshooting problems, and handling any other issues that light up her phone. 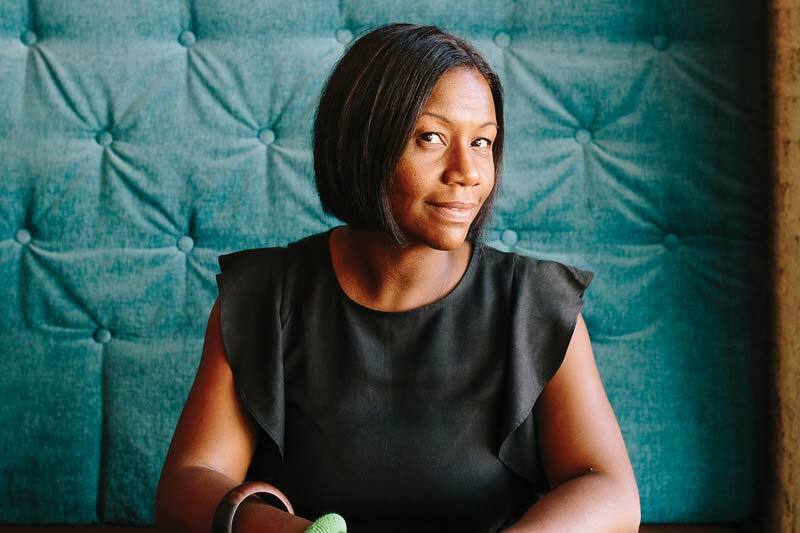 Hylton-Daniel has been on the cover of Durham Magazine and has had several of her spaces featured in publications like The News & Observer and Architects + Artisans.